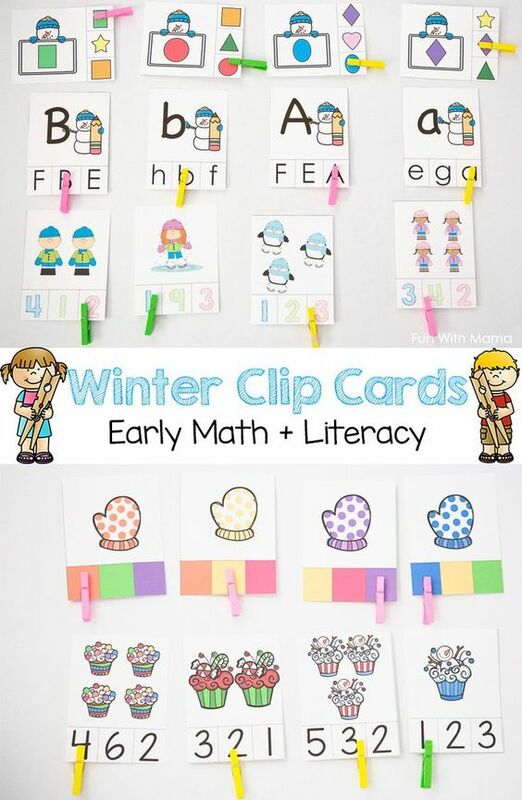 These winter themed clip cards are great for preschool and pre-k kids to work on their fine motor schools. 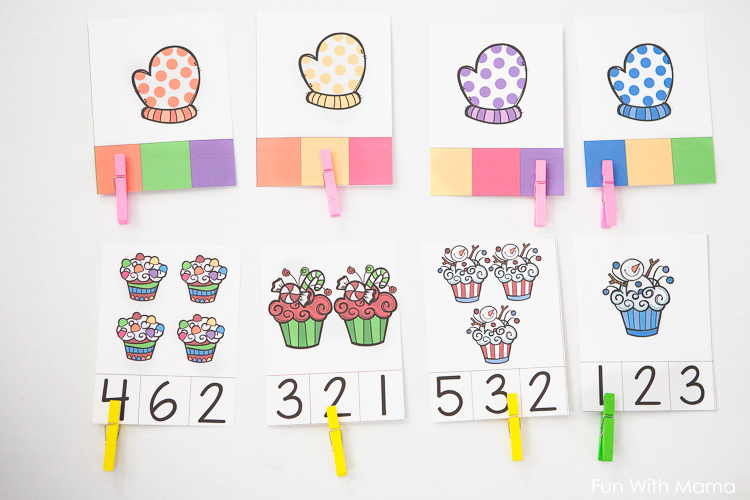 Kids will learn early math and literacy skills with this clothespin clip card activity pack. 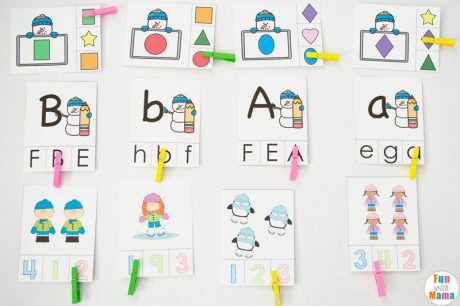 There are 176 different clip cards and total of 284 Clip Card with the black and white alphabet letter clip cards. 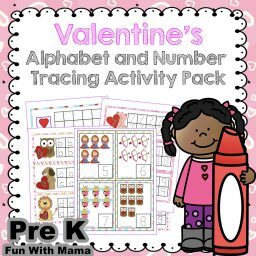 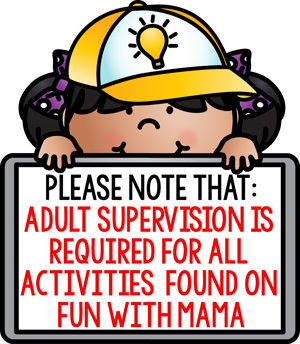 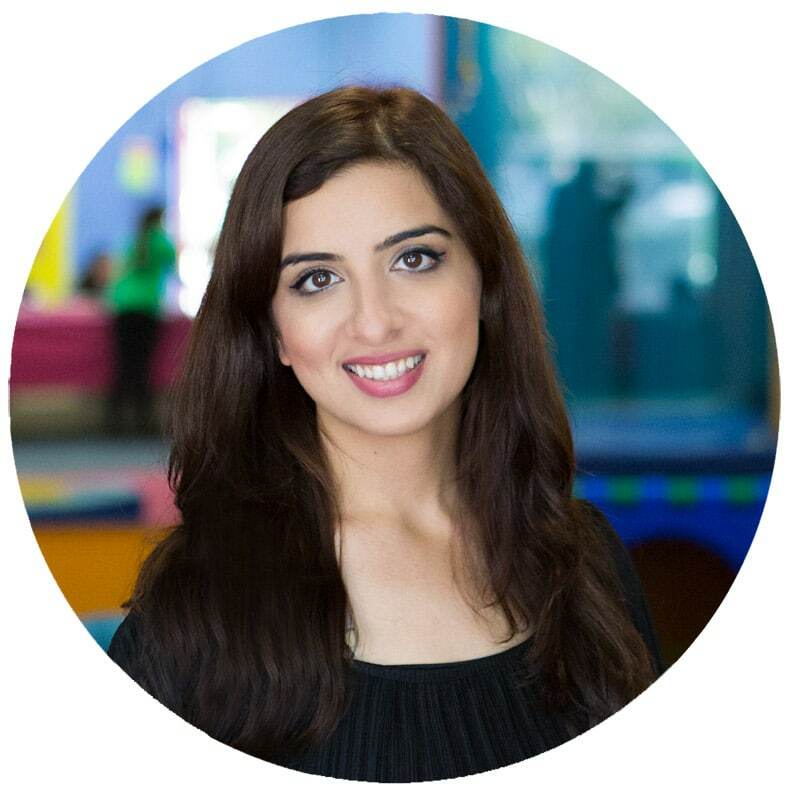 These activities are great for toddlers, preschool, and prek kids. 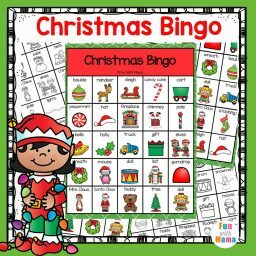 With a variety of snowman, penguins, reindeers, Christmas presents and winter clothing this set is perfect for winter! 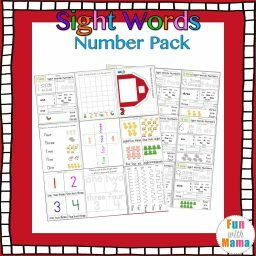 The alphabet letter matching set includes one set of matching uppercase letters with lowercase letters, matching lowercase letters to uppercase letters and for younger kids matching the same uppercase letter to the same uppercase letter. 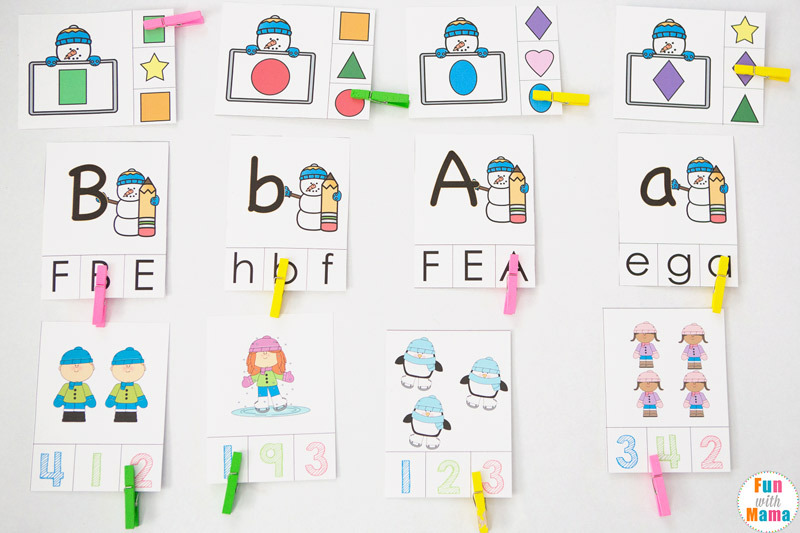 I have included a set of black and white clip cards for the alphabet matching clip cards. 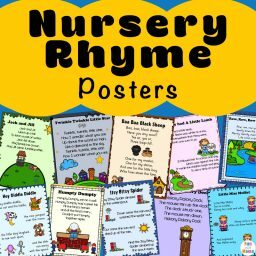 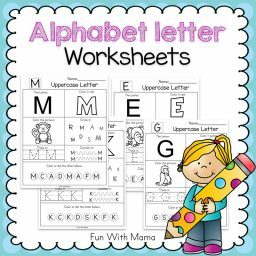 – Snowman Uppercase alphabet letter matching. 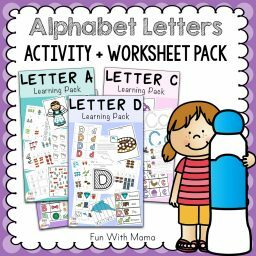 – Snowman Lowercase alphabet letter matching. 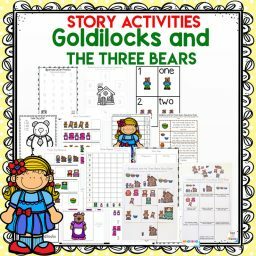 – Counting Cards (three sets of cards that go up to 12). These counting cards vary from counting cupcakes, winter mittens, snowman, and children.